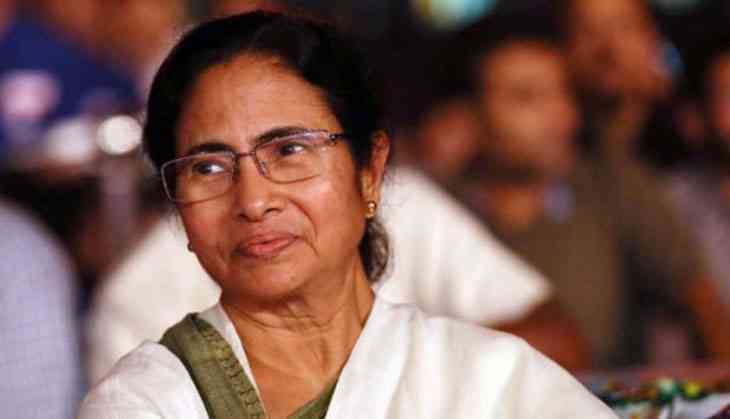 West Bengal chief minister Mamata Banerjee on Friday instructed All India Trinamool Congress workers and leaders to go soft on the Congress. This comes after Banerjee's recent meeting with Congress president Sonia Gandhi. The two are known to enjoy cordial relations, even in times of political differences. Addressing party leaders at the core committee meeting on Friday, Banerjee said that the AITC's focus should be to counter the BJP on the misgovernance front as well as on its alleged attempts at creating a communal polarisation in West Bengal. She also urged party workers to expose CPI(M)’s "secret understanding with BJP". Banerjee's instruction is significant given the Opposition's efforts at putting up a united front for the upcoming presidential elections. According to Trinamool sources, Banerjee went to meet with Congress leader Abdul Mannan in his chamber in the Assembly and the meeting lasted about half an hour. “Banerjee wants to break the ice with the Congress. The upcoming presidential election is a perfect opportunity. The need of the hour is to create a strong Opposition against BJP. This is why she spoke to Leader of the Opposition Abdul Mannan today," a senior AITC leader revealed. "There are differences within the Bengal Congress on aligning with AITC. While a section of Congress leaders feel that there is a need to form an alliance with the AITC to check the BJP's growth in the state, another section including Pradesh Congress chief Adhir Chowdhury are not in favour of an alliance with AITC,” the leader observed. Political analysts are of the opinion that Mamata ‘s decision not to raise her pitch against Congress is significant in the context of upcoming Rajya Sabha elections as well. It seems that she wants to prevent the Congress and CPI(M) coming together in the polls to the Upper House. Amol Mukherjee, political analyst and former professor of Political Science at Presidency College, said “Banerjee knows very well if she does not form an alliance with the Congress then either a Left or a Congress candidate may be chosen for the sixth seat in the Rajya Sabha through mutual agreement and this won’t be beneficial for AITC. Therefore she wants to keep the Congress close". According to West Bengal's parliamentary affairs minister Partha Chatterjee, “ We have been instructed by Banerjee not to raise our pitch against Congress , but we will carry out our Opposition to BJP and CPI(M) as has been instructed by our party chief. Even in this Assembly session we will voice our opinion regarding the BJP's attempts at creating a communal polarisation". On the other hand, Adhir Chowdhury said “ We have already sent a letter to Congress President Sonia Gandhi and urged her to have a discussion with Congress MLA’s from Bengal before finalising a candidate for the Rajya Sabha seat". The Rajya Sabha election is scheduled for 8 June.